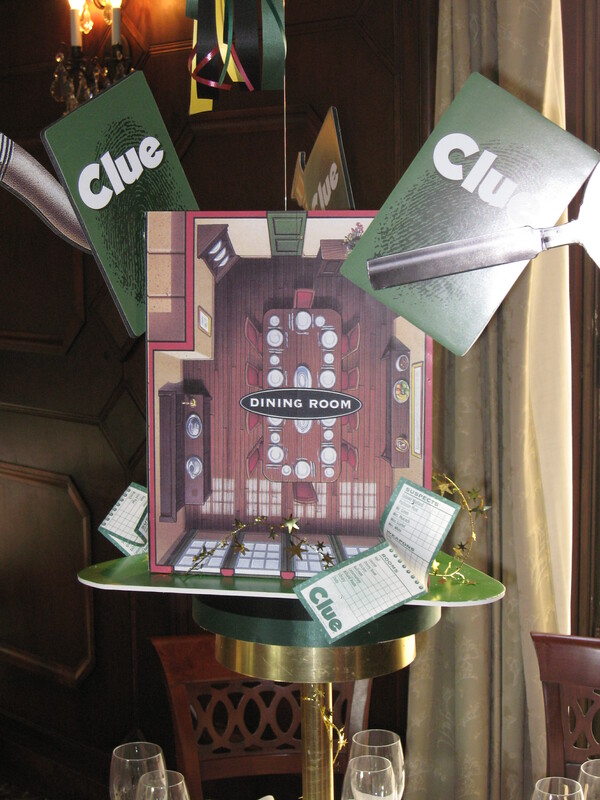 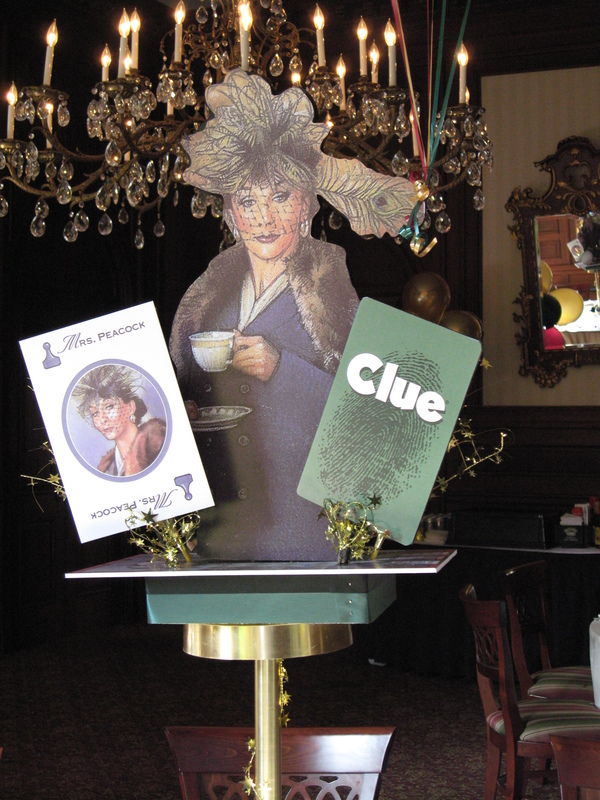 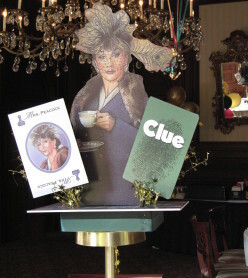 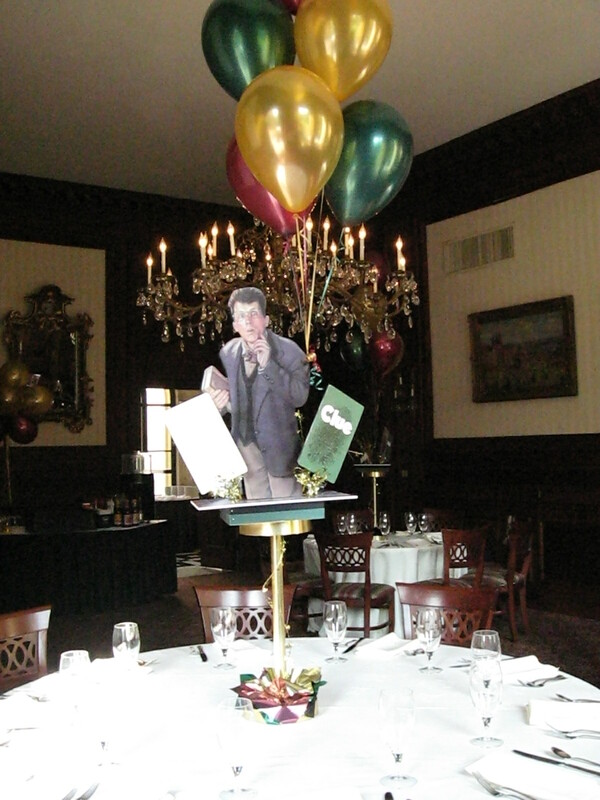 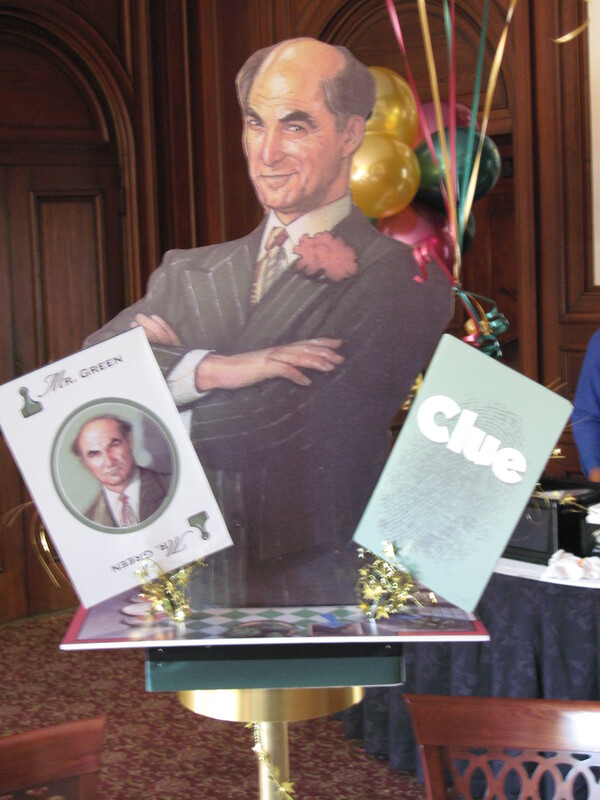 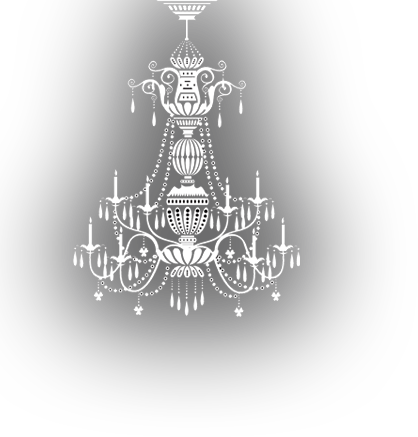 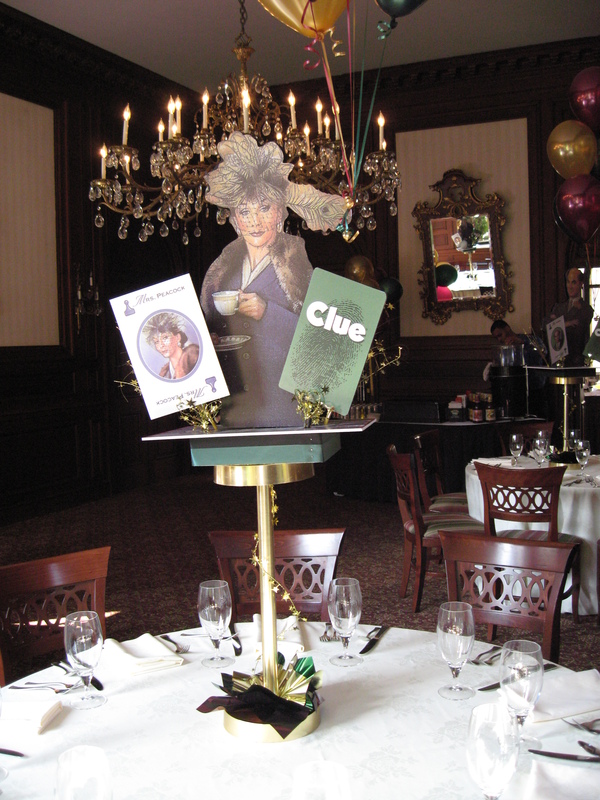 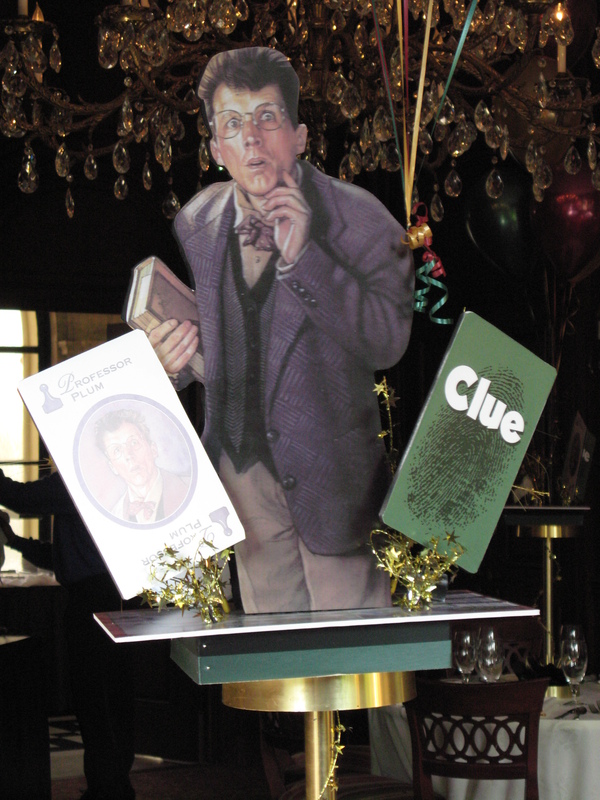 For this event the guest of honor LOVED the game of clue and wanted to base the décor for his Bar Mitzvah around that. 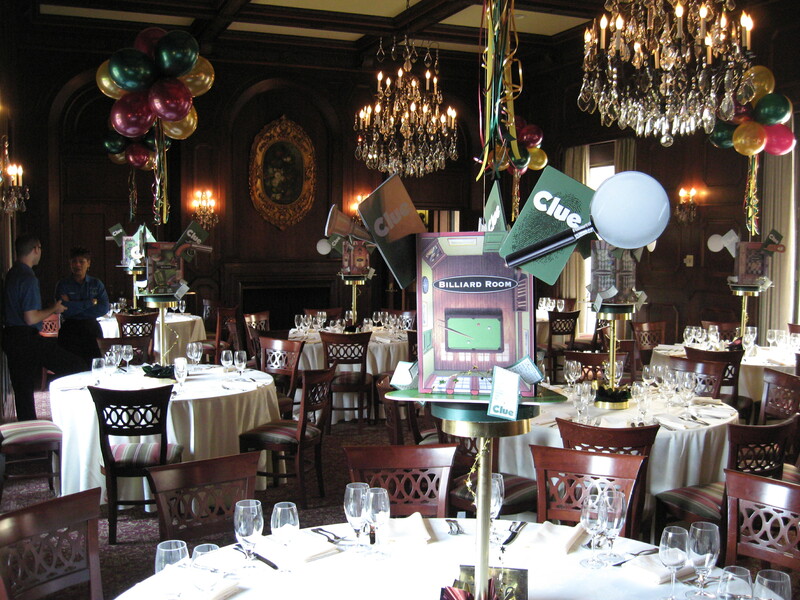 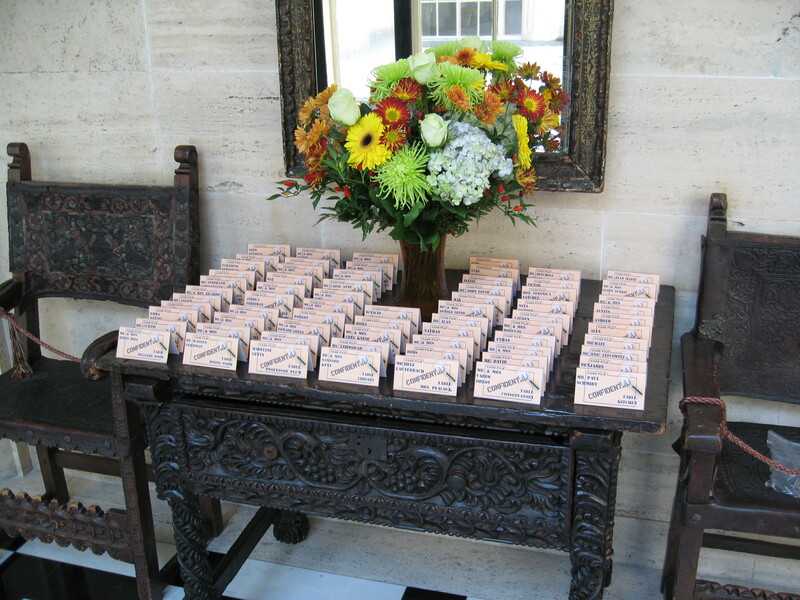 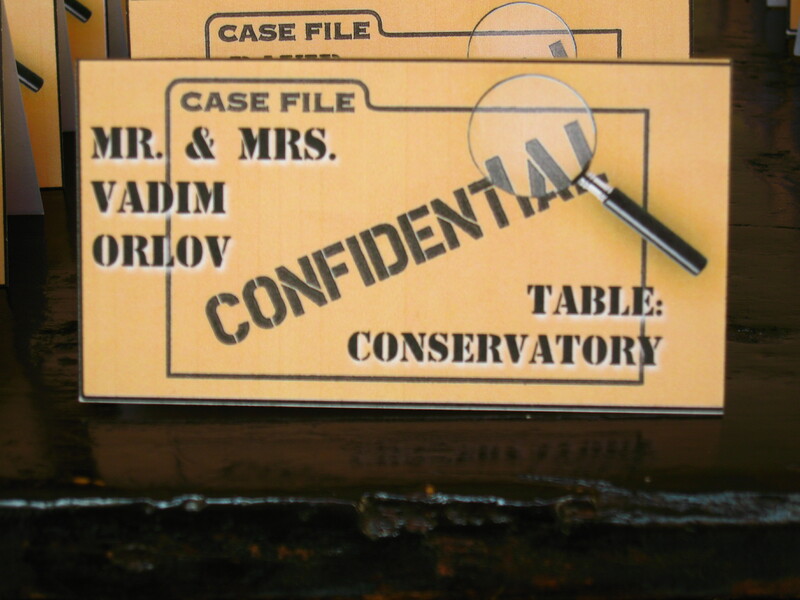 Each centerpiece was either a different character or “room” from the board game and the place cards were confidential envelopes for the guest to open to find their seats. 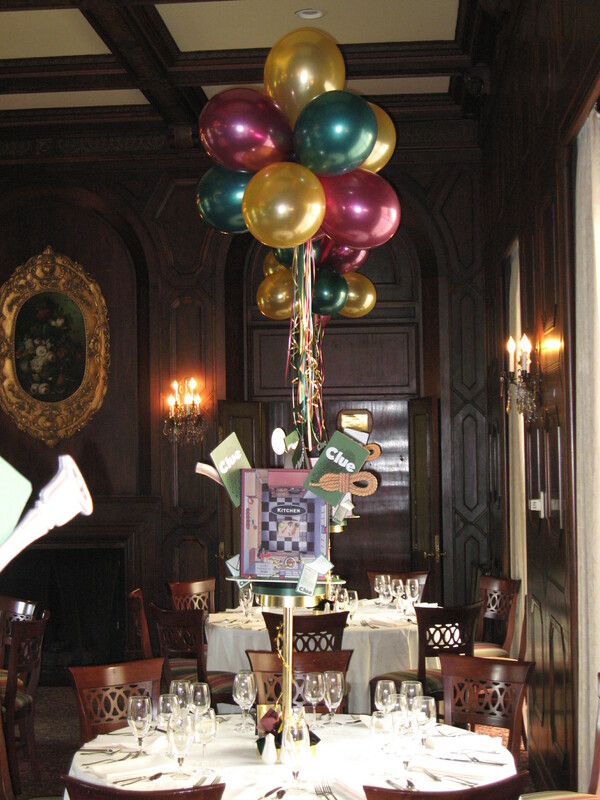 Balloons were attached to all the pieces to make it more fun and festive!